Home Sports & Outdoors Crossbow vs. Compound Bow: Which One is For You? Weaponry has advanced a lot over the years. Wooden longbows have been replaced by advanced compound bows with pulley systems and cams for added mechanical advantages. However, the crossbows and arbalests of old still remain the same – just being made with better materials with a more smooth finish. And what’s more is that these devices have figured out the mechanical advantages of pulley systems long before compound bows came into play. Regardless, now that they come with many similar features and both have learned to make good use of mechanical benefits, we believe that they now stand on the same stage. Let’s take a look at the inherent differences and similarities between the physiology of the weapon, their advantages and disadvantages over one another, and the physics behind their operations. 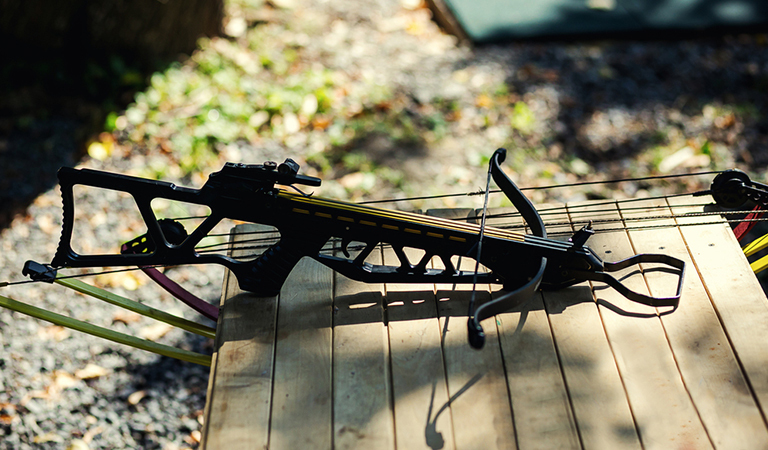 If you’re someone who’s been wondering “should I get a crossbow or compound bow,” this article will help you make up your mind. The underlying concept of a compound bow is similar to regular bows – the user uses his/her muscular energy to draw the bowstring back, storing the potential energy in the bow limbs. Upon releasing the string, the potential energy stored in the limbs propel the arrow forward, converting it into kinetic energy. However, unlike regular longbows and recurve bows, with compound bows, it’s a little more complicated than that. Compound bow limbs don’t curve towards the archer, rather they curve inwards towards each other. Such a movement requires the use of pulleys to change the direction of the force being applied. The use of pulleys allows the user to exert more force on the limbs using less muscular energy. Because you can exert more force with a compound bow, making good use of the mechanical properties of a pulley, the bow limbs can be created with greater strength, allowing the user to store more potential energy compared to the muscular energy he/she’s applying. This, in turn, allows the user to shoot further and faster with the same energy. Above that, they come with a cam, an oval shaped pulley with a taper at the end. The shape allows the user to hold onto the drawn bowstring with a much less energy once the string crosses a certain point of the cam. Because of this feature, known as let off, the user can keep aiming the bow with it drawn for a much longer time without getting fatigued. 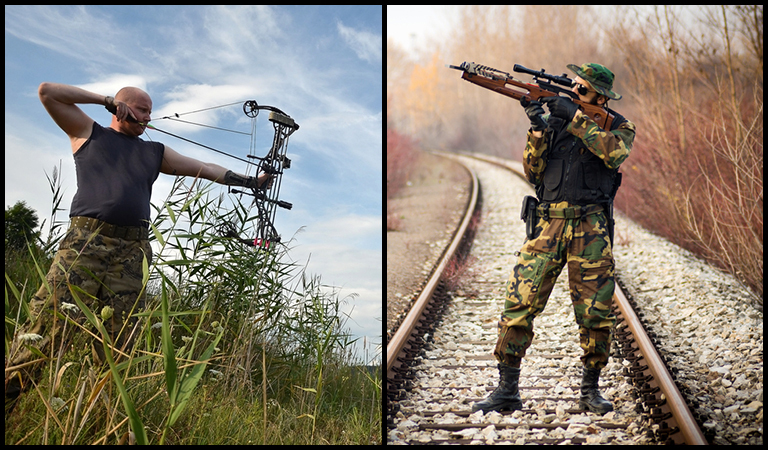 When talking about crossbow vs compound bow, we’ll be discussing the two types: a crossbow and an arbalest. A crossbow, like a bow, requires the string to be drawn to load up the crossbow bolt. However, there’s a locking mechanism in place to hold the string once it’s fully drawn. The limbs of the crossbow store the energy to be used to propel the bolt forward. Crossbows have a comfortable handle and a trigger to release the locking mechanism in order to fire the bolt. Because of the way the crossbows work, they are smaller and more compact compared to the bows. Because of that, the bolts are smaller than the arrows and thus, in some cases, cause less damage. Because of their smaller size, they often have a smaller range and FPS (foot per second) compared to a longbow or a compound bow. However, due to the fixed bolt housing and a locking mechanism, the crossbow always shoots accurately and does not suffer from the inconsistencies in aiming found in a bow i.e. different nocking points, anchor points, and draw lengths. But to overcome the problem of lower range and speed, there are the Arbalests. These weapons have strong limbs just like compound bows, allowing the user to store more potential energy when fully drawn. However, due to their stronger limbs, they cannot be just loaded by hand easily. Just like how compound bows overcame this difficulty using the mechanical advantage of pulleys, arbalests made use of the mechanical advantages of crankshafts to help out with that. The user has to rotate the crank on an arbalest to draw the bowstring and lock it in place once it reaches the maximum draw length. With a larger size, heavier build and a stronger steel limbs, this weapon can shoot at greater speeds at a greater distance. An arbalest has all the advantages of a crossbow, but none of its vices. Draw Weight – Compound bows blow crossbows out of the water in terms of draw weight, projectile speed, and effective range. Although some arbalests can match up to its range and power, those arbalests are usually too heavy compared to compound bows. 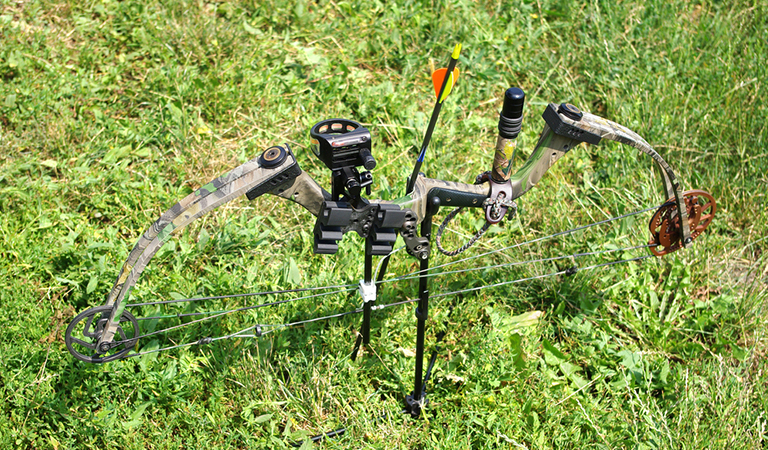 Reloading Speed – Compound bows and crossbows take the same amount of time to reload and aim. However, an arbalest takes much longer than compound bows. So, when you’re out hunting and you miss a shot, with a compound bow, the chances are that you can nock another arrow and take down the fleeing animal. With an arbalest, that will not be happening anytime soon. 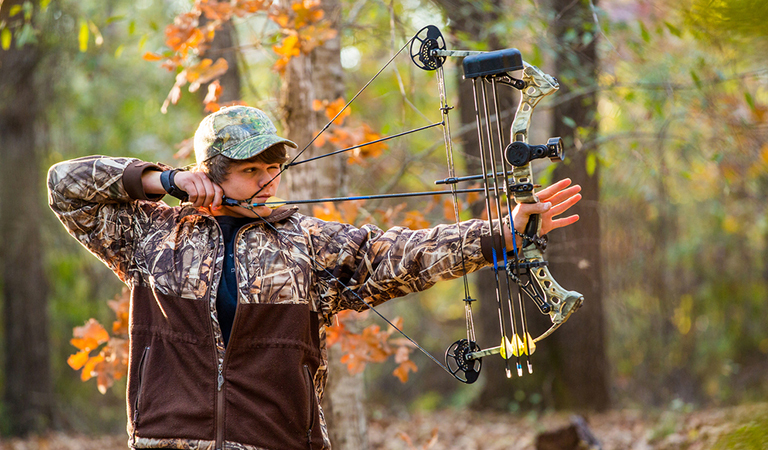 Instinctive Shooting – With a compound bow, it’s easier to aim higher and estimate the parabolic trajectory of the projectile and shoot further, more accurately. But in case of a crossbow or an arbalest, it blocks your field of vision if you raise it higher to offset for the drop. By now, the compound bow might look like it’s better than a crossbow in most aspects. But crossbows and arbalests also have some major advantages over compound bows. Gentle Learning Curve – Given the fixed draw length, the accurate bolt housing, and the handle, everything makes this weapon far more convenient to use. Thus, beginners find it easier to get a hang of this weapon and learn to shoot more accurately, faster. More Accuracy – With the small margin of unpredictability that compound bows have due to their parts like limb flexibilities, arrow spine, draw length, anchor points, nocking points and such, they tend to be less accurate, compared to the crossbows. Convenient Aiming – Crossbows require to be loaded once and aimed as necessary. In contrast, compound bows require the bow to be held drawn while aiming. This is not only tiring but also increase the sway and movements of the bow while aiming, affecting the aim altogether. Portability – Crossbows, being a bit smaller in size, have greater portability. Some crossbows are lighter than compound bows. Despite their advantages over each other, it would simply be wrong to consider one better than the other. 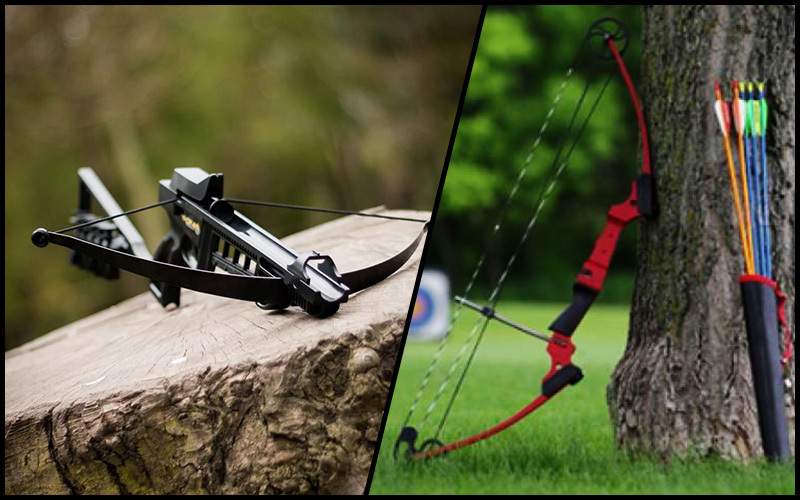 Compound bow vs crossbow, when compared, have different uses and different kinds of training to learn to use. Although we can compare both of these to each other, they still are vastly different in terms of operation and purpose. In the pre-firearms era, crossbows were more preferred by arbalists for close ranges and warding off escalades. Arbalests were used to shoot down the approaching enemies from the battlements at a medium range while bows and arrows were volleyed over greater distances before engaging in arbalest warfare. Modern crossbows and compound bows are usually used for recreational purposes, such as for hunting or in sporting events. For sporting events, rules are actually clear about its equipment so it doesn’t need to be said why one would prefer a compound bow for Olympic archery over crossbows. But for the purpose of hunting, it usually depends on the hunter’s level of skills and preference. While some might like the convenience of crossbows, others would prefer the ruggedness of compound bows. In the end, none of them wins or loses against each other.